LT Enterprises Pvt. 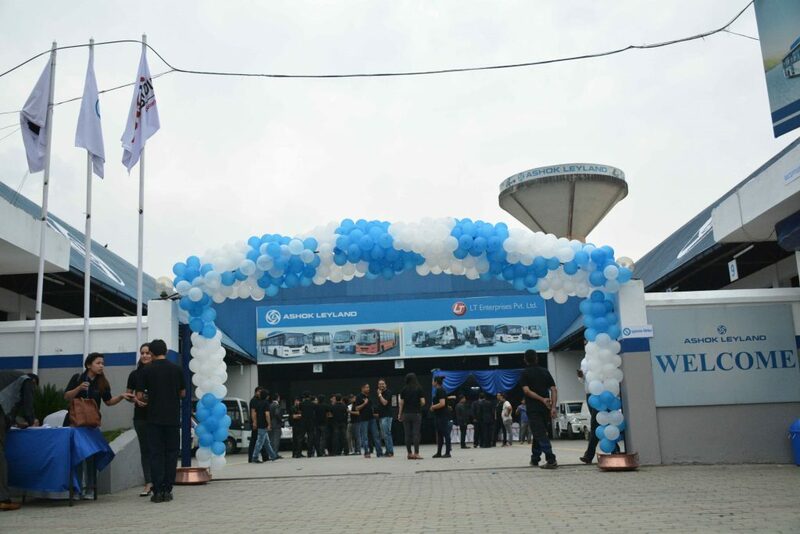 Ltd., an automobile trading subsidiary of IME Group, has opened fully equipped service centre for Ashok Leyland brand of Commercial Vehicles at Gongabu, NewBuspark, Kathmandu, thereby strengthening its official tie-up with one of India’s leading vehicle manufacturers, and commercial vehicle experts, Ashok Leyland Limited. LT Enterprises Pvt. Ltd. has started its service operations from the service centre at prime location in Kathmandu. It is a full-fledged setup expanded in 35,000 sq. ft. area where a full range of Ashok Leyland Commercial vehicles comprising various models of Trucks/Tippers, Buses, Light Commercial vehicles are displayed along with service and spare parts facilities. Our dedicated sales, service and spare parts executives are always looking forward to welcome our valued customers. The inauguration was done collectively by Mr. Chandra Prasad Dhakal, Executive Chairman, IME Group; Mr. Hem Raj Dhakal, Executive Director, IME Group; Mr. Vinod K. Dasari, MD – Ashok Leyland Ltd.; Mr. Rajive Saharia, President – Global Sales and Distribution, Ashok Leyland Ltd. in presence of other officials from Ashok Leyland India and the entire team of IME Group. 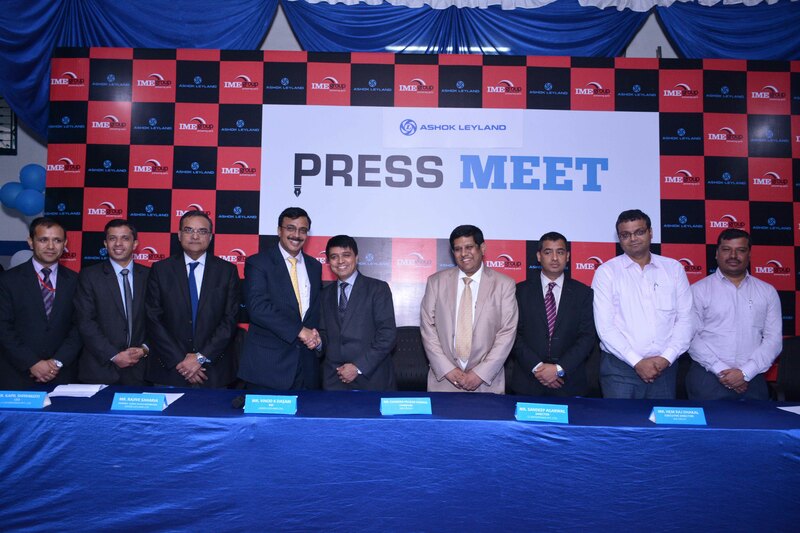 Ashok Leyland, a flagship company of Hinduja Group, is an Indian Automobile manufacturing company based in Chennai, India. Founded in 1948, it is the 2nd largest commercial vehicle manufacturer in India, 4th largest manufacturer of buses in the world and 16th largest manufacturer of trucks globally. Operating seven plants in India and manufacturing presence in Middle East, Kenya and Bangladesh, Ashok Leyland is the true global vehicle manufacturer. Ashok Leyland also makes spare parts and engines for industrial and marine applications. It sells 140,000 vehicles and about 15,000 engines annually. With passenger transportation options ranging from 19 Seaters to 80 Seaters, Ashok Leyland is a market leader in the bus segment. In the vehicles segment Ashok Leyland offers complete range of commercial vehicles starting from 1 Tonne to 49 Tonne including special vehicles of defense use. Speaking at the inauguration ceremony, Mr. Chandra Prasad Dhakal, Executive Chairman, IME group said, “With the official launch of Ashok Leyland and IME Group’s brand association in Nepal, LT Enterprises expects to reach new highs in the CV Industry in near future by leveraging Ashok Leyland’s esteemed brand recognition as a trustworthy brand and through our excellent sales and service facilities set up as well as planned at important locations at key markets of the country”. On the occasion Chief Guest Mr. Vinod K. Dasari, MD, Ashok Leyland Limited, wished all the very best to IME Group with Ashok Leyland business venture. Further, he congratulated IME Group for the unison of Ashok Leyland and IME, as a right channel partner for Ashok Leyland in Nepal. IME Group, established in the year 2001, is one of the leading business groups of Nepal with its investments ploughed in a gamut of diverse sectors such as remittance, banking & investment, energy (hydel, industrial gas), travel & tours, automobiles, logistics, IT, infrastructure etc. Steered by more than 1,000 highly efficacious human capital, IME Group has surged from its humble beginnings as a financial company into a multi-industry business group with a global focus and a customer base of more than a million.